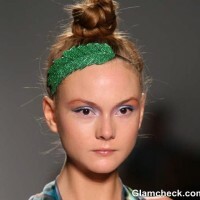 We spotted a very interesting hair accessory, namely a hair tie at the Mara Hoffman for 2014 collection during the Mercedes-Benz Fashion Week Swim in Miami. This particular hair tie looked a lot like the Indian Parandi – a hair accessory which is used to accentuate braids and decorate them with beads, tassels or pom-poms at the end. In fact, we can say that perhaps the designer was inspired from parandis, Rajasthani work and tribal art – making this hair tie a true work of fusion. The hair tie was wrapped around fishtail plaits and its edges hung low from the corners. The multi-colored pom-poms, beads and tassels on it lent a very vibrant effect to the wearer. 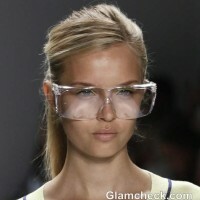 In fact the whole getup of the models was enhanced by these hair accessories alone. 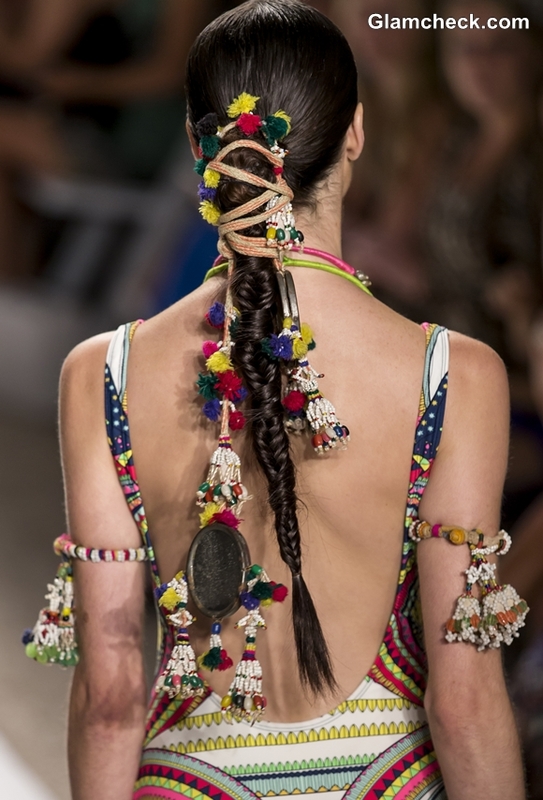 Now, we wouldn’t mind experimenting with a hair tie like this too – if only we get our hands on one!